Thanks to the advancement of technology, homeowners are now able to invest in the best solar generator that they can find as an emergency power backup. This not only helps to ensure that you are able to have a reliable source of power should you ever be caught in a power emergency – it also helps to reduce your carbon footprint. However, in recent years, people have begun to expand on their use of solar generators – and technology in general. If you like traveling, view our guide If you are looking for a solar charger for camping. It is now quite common to see these devices being used to power RVs, cars, and other mobile home systems and devices. 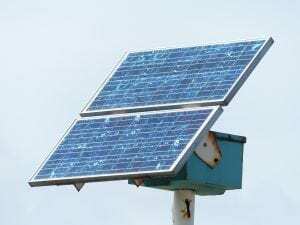 However, even though it is now common for solar generators to provide consistent power instead of supplemental power, many people struggle to find a device that is best suiting of their needs. View the Best Solar Generator on the Market, Below. Are Solar Generators the Best for Me? Can a Solar Generator Power a House? Can solar Panels Replace Generators? 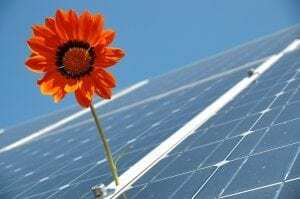 What to look for when Buying a Solar Generator? There are simply too many devices on the market to sort through in a timely manner for the majority of homeowners, travelers ,and clean energy users. Thankfully, this won’t be a problem for you. We’ve taken the time to compile a list of the top 10 best powerful solar generators on the market – all you have to do is determine which of these devices is best suited for you and start your clean energy adventure. If you’re looking for a device that can handle all of your charging needs without issue, the Goal Zero Yeti 1250 solar generator is the best fit for you. The solar generator kit includes an excellent array of tools and supplies that will be perfect for helping you harvest the necessary solar energy you need to power your devices in case of emergency. The solar generator has a Boulder 100 Briefcase solar panel with a cord and kick stand. Additionally, it comes with a rolling cart and charger than that can be used to easily transport the device and provide a supplemental power source if needed. The Goal Zero Yeti 1250 solar generator is capable of charging up to 10 different devices with its 1250 watt hour lead acid battery and has a continuous 1200 watt pure sine wave inverter. You’ll be able to get your devices up and running in no time thanks to this excellent tool. Additionally, you can connect it to other 100 Ah lead acid batteries to enable the solar generator to run even longer. You can easily charge the device back up with an AC plug in or solar panel once it has run out of power again. Last, but not least, the solar generator is light in weight and has excellent photon harvesting abilities thanks to its monocrystalline design. You’ll be able to transport the solar generator by using the briefcase folding enclosure easily and without any hassle, making it one of the best investments you could choose to make. See more information on Goal Zero Yeti 1250. The Goal Zero Yeti 1250 solar generator is an excellent device to invest in - especially if you’re looking for a solar generator that is capable of keeping your devices charged and ready in case of a power outage. The generator can power up to ten different devices at once and can be easily transported from place to place thanks to its rolling cart. Additionally, the solar generator can be charged through either its AC plug in adapter or with a solar panel. This enables the solar generator to be the versatile go to device that you can rely on in case of power outage or other energy emergencies. It’s one of the best backup devices for you to have on hand and will help to make you feel at ease no matter what sort of weather or crisis you may encounter. The Peppermint Portable solar generator is an excellent device that is built with only the highest quality materials. You’ll be able to count on this solar generator to get the job done and provide enough power to keep your large devices and appliances in power. The solar generator is one of the most powerful generators on the market and is able to provide up to 2000 watt hours of energy for your power needs. Additionally, the Peppermint Portable solar generator is also able to recharge quickly. It can be charged in as little as three hours if given ideal weather conditions. Perhaps the most noticeable feature of the Peppermint Portable solar generator is the easy to use functions and features. You’ll be able to easily get the Peppermint Portable solar generator up and running for use without having to deal with any difficult setup instructions or tedious procedures. The Peppermint Portable solar generator comes in a briefcase design. All you need to do to get it up and running is open the latch on the solar generator and let the sun do its work. The Peppermint Portable solar generator is also a very versatile device. Not only does it have the standard USB charging outlets - it also comes with wall outlet plug ins. This means that you’ll be able to easily charge your devices no matter what you need to power. This solar generator has the ability to charge anything from a laptop to a TV and is perfect for any camping, RV, or backup power needs. You’ll be able to stay in power comfortably without having to worry about running out of a charge anytime soon with this device. Additionally, you won’t have to worry about keeping this solar generator charged - it has some of the fastest charging times out of any generator on the market. If you need power fast, the Peppermint Portable is one of the best choices you could make. See more information on Peppermint Energy Forty2 Pro+. The Peppermint Portable solar generator is an excellent device for anyone’s charging needs. You’ll be able to charge your devices without having to worry about waiting for extensive periods of time before you can use the solar generator. It has some of the fastest charging times in the industry and can charge in as few as 3 hours! Additionally, this solar generator can supply you with enough power to operate a TV or refrigerator - and has the wall plug ins to allow you to do so conveniently. It’s one of the best investments you can make - especially if you go on camping trips or live an on the road lifestyle that doesn’t always guarantee easy access to power. If you’re in the market for a solar generator that can keep you supplied with plenty of power while you’re venturing outdoors or comfortable during a power outage, the Goal Zero Yeti 150 solar generator is a great device for you to invest in. The Goal Zero Yeti 150 solar generator is excellent for powering small devices while you’re on the road or outdoors and can be easily charged through a car plug in, wall outlet, or by use of solar energy. The solar generator can store up to 168 watt hours of energy, and is perfect for any needs you may have. The Goal Zero Yeti 150 solar generator is small and easy to transport from place to place. This makes it ideal for traveling since you won’t need to clear out a lot of space to make room for it in your car or luggage. The solar generator has more than enough power to get you through the weekend. The Goal Zero Yeti 150 solar generator has enough energy to charge a smartphone 15 times, a GoPro 25 times, a digital camera 12 times, a tablet 6 times, and a laptop 1 to 2 times. You’ll be able to stay connected while you’re camping or traveling and reduce your carbon footprint too. The Goal Zero Yeti 150 solar generator also charges very quickly. If you’re using an AC outlet (wall plug in) you can expect to have the device fully charged within 6 hours. If you’re using a solar panel to charge the device, it could be ready to go within as little as 3 hours. However, this will be dependent on what type of panel you’re using. The solar generator is also fairly light in weight. The Goal Zero Yeti 150 solar generator only weighs 12 pounds total and comes with an easy to grip handle. Transporting the solar generator from place to place comes with no difficulty. The Goal Zero Yeti 150 solar generator is simple, easy to use, and comes with more than enough power to keep your devices charged during a weekend trip. It’s one of the best small portable solar generators on the market - we highly recommend it. See more information on Goal Zero Yeti 150. The Goal Zero Yeti 150 solar generator is an excellent product that is perfect for meeting your power needs on weekend outings or camping trips. The solar generator only weighs 12 pounds total, and is very easy to transport from place to place thanks to its easy to grip handle. In addition to its light weight, the Goal Zero Yeti 150 solar generator is also very compact, meaning you’ll have no difficulty finding space for it in the back of your car or with your luggage. Last but not least, the Goal Zero Yeti 150 solar generator is easy to charge. If you’re using an AC outlet (wall plug in) the solar generator will be fully charged within 6 hours. However, if you’re using a solar panel, the solar generator could be fully charged in as little as 3 hours. It’s one of the best devices on the market and is perfect for trips and emergencies, making it a great investment for any outdoor enthusiast or homeowner. If you’re looking to invest in a top quality solar generator that can help you power through a power emergency or simply provide a source of power for an outdoor excursion, the Goal Zero Yeti 400 solar generator is perfect for you. You’ll be able to use the solar generator kit to take care of any charging needs that may arise. Additionally, you can even pair the solar generator with other Goal Zero Yeti 400 solar models to increase the power output and encourage maximum energy potential. Plus, the Goal Zero Yeti 400 solar generator allows you to charge the solar generator using both solar energy and a wall outlet, making it possible for you to keep the solar generator charged and ready before you encounter a power outage or go on an outdoor adventure. The kit comes with a Goal Zero Yeti 400 solar generator and a 20 watt Nomad solar panel. You’ll be able to get all of your charging needs taken care of with this impressive tool. It has a quick charge time and can generate enough power to support devices like laptops, lights, and other energy dependent gadgets. Last but not least, the Goal Zero Yeti 400 solar generator is safe for indoor use. This means that you won’t have to worry about any harmful emissions because unlike other generators, the Goal Zero Yeti 400 solar generator doesn’t produce any unsafe byproducts or fumes when it operates. If you need a backup generator that you can depend on during a crisis, the Goal Zero Yeti 400 solar generator is one of the best choices you could make. See more information on Goal Zero Yeti 400. The Goal Zero Yeti 400 solar generator is one of the best solar generators on the market and is more than capable of keeping up with your needs. You’ll be able to use the device to power a number of different gadgets like phones, tablets, laptops, and more. Additionally, the solar generator can be charged with both solar energy and a wall outlet, so you’re covered even if the skies are cloudy for a few days. It’s a great option for anyone who needs a reliable backup power system and can make all the difference if you find yourself without power for a prolonged period of time. It’s one of the best systems on the market and will serve anyone well. If you’re looking for a top quality tool that will help to serve your needs, the AUDEW Chslycxc1440 is the perfect tool for you. You’ll be able to take on a number of different situations, whether you need to invest in a solar generator because you’re an avid outdoor enthusiast or you simply want to make sure that you’re covered in case of a power outage. The AUDEW Chslycxc1440 solar generator is a top tier device that will keep all of your bases covered. The AUDEW Chslycxc1440 solar device comes with a great design that is able to suit all your needs. The solar device comes with 220 watt hours and 60,000 mAH of high capacity to work with and is best for outdoor trips or adventures, RV life, or a supplemental power source during power outages. The solar generator can provide power for 2 wall plug ins and 2 USB ports and will keep you charged and ready to go. When using the solar generator, you’ll want to put the AUDEW Chslycxc1440 solar generator out to charge early - it takes eight hours to reach a full charge. However, you can access the power before the solar generator reaches a full charge. You can even let your devices and the AUDEW Chslycxc1440 solar generator charge simultaneously thanks to the sine wave output. Additionally, the solar generator comes with a sophisticated battery management system (BMS) that helps to prevent surges in power while devices are charging and complications due to overheating. This system is also resistant to corrosion, making it an optimal choice. Last but not least, international travelers might be interested to know that you can customize the wall plug in settings on the solar generator to fit prongs from different countries, making it one of the best travel tools you could hope to invest in. See more information on AUDEW Chslycxc1440. If you’re looking to invest in a top quality solar generator, you don’t need to look any farther than the AUDEW Chslycxc1440 solar generator. This solar generator is equipped with only the best materials and features to help ensure that you’re able to have a high quality experience when using the AUDEW Chslycxc1440 solar generator. It comes with many noticeable and commendable features, like its high capacity power supply that boasts 60,000 mAH and 220 watt hours. In addition to this impressive power output, the device also has 2 standard USB plug ins and 2 wall plug ins that can accommodate laptops and other such devices. Perhaps most impressively, the wall plug in charging system can be customized to fit prongs from multiple countries, making it one of the best choices for those who live an international lifestyle. If you want a portable solar generator that is small and easy to transport, your best option is likely the PAXCESS S320 generator. This solar generator is one of the premium machines in its class and is guaranteed to help ensure that you’ll never run out of power. It is small, compact, and light in weight, making it incredibly easy to transport from place to place. Additionally, unlike similar devices, the PAXCESS S320 solar generator is able to charge three different kinds of devices as well as able to charge from three different power sources! This makes the PAXCESS S320 generator one of the best investments an individual could hope to make. One of the most noticeable and impressive features of the PAXCESS S320 solar generator is its ability to provide such a consistent amount of power to so many different types of devices. The solar generator comes with 3 DC ports (car plug ins), 2 AC outlet inverters (wall plug ins), and 2 USB ports. This means that you’ll be able to charge all of your devices whenever the need arises without any difficulty at all. The PAXCESS S320 solar generator can provide enough power to charge your phone 18 times, your tablet 5 times, your laptop 3 times, and a car fridge for over 4 hours! The power output alone is impressive, but when combined with its recharging abilities, the PAXCESS S320 solar generator is almost unbeatable. The solar generator is also able to recharge from a DC outlet (car plug in), AC inverter (wall plug in), or by using solar energy. This makes it one of the most versatile devices you could hope to investment and one of the best buys you could make. Last but not least, the PAXCESS S320 solar generator is extremely easy and simple to use. It is very light in weight and can be transported by using the ergonomic carry handle that is built into the top of the box. Additionally, the solar generator has one of the best easy to read display that will let you know how much power remains in the battery storage cell at any given time. See more information on PAXCESS S320. The PAXCESS S320 solar generator is one of the best devices you could hope to invest in if you’re an avid traveler, outdoor enthusiast, or homeowner wanting a backup power source. The solar generator is capable of holding a tremendous amount of power and is able to be easily transported from place to place thanks to its light weight and easy carry handle. Additionally, the PAXCESS S320 solar generator is capable of providing power to devices with car plug ins, wall plug ins, and USB ports, making it one of the most versatile solar generators on the market. Last, but not least, the solar device is able to charge using a DC outlet (car plug in), AC inverter (wall plug in), or solar energy, making it the most reliable backup solar energy supply on the market. If you’re searching for a solar device that can be counted on to be reliable, the Renogy Phoenix is just what you need. The Renogy Phoenix is packed with impressive features that helps to prepare you for any sort of situation that may arise, whether it’s an outdoor adventure or power outage. You’ll be able to take advantage of the many wonderful features put forward by the team at Renogy to ensure that you’ll never be caught without power, regardless of where you are. The Renogy Phoenix is one of the most reliable solar generators on the market. It comes with two 10W monocrystalline solar panels that are able to function at peak performance and can be expanded to fit up to 120W. You’ll be able to use it to power all sorts of devices and non traditional homes. The Renogy Phoenix was specifically designed for homes that were mobile and off the grid. Additionally, the solar device is perfect for emergencies as it has a briefcase design and is easy to transport from place to place. It’s one of the best solar investments you could choose to make from a reliable and reputable brand. See more information on Renogy Phoenix. Is compatible with other solar panels for extended run times. The Renogy Phoenix solar device is an excellent investment that helps to provide power for off grid applications and during emergency situations. The solar device is full of helpful features that will work well for any outdoor adventurer or off the grid homeowner. You’ll be able to take advantage of its many wonderful features, including its easy to use functions and fast charge times. To use the solar device, simply open the latch on the case and set the solar panels out in the sun. It’s simple and easy, meaning you have more time to focus on what’s important instead of wasting your time with a tedious setup process. And last, but not least, you’ll be able charge the solar device using three different power sources - car plug ins, wall plug ins, or solar energy. These features combined make the Renogy Phoenix solar device an exceptional buy, and one of the best portable solar generator models on the market. When it comes to reliability and dependability, the Humless 0842 solar device is the way to go. This device is built to last and will help get you through any situation you encounter. It’s small, fairly light in weight, and easy to transport from place to place, making it one of the best sun powered generators you could choose to invest in. You’ll be able to use this solar device to keep your family in power regardless of if you go outdoors for the weekend or if you encounter a power outage. The Humless 0842 has one of the most sturdy designs we’ve seen. They protect their technology with strong metal casing that helps to ensure that you won’t have to worry about any damage when you’re transporting it. Additionally, their patented technology has been used since the 1970’s to power batteries on buses and cars - you won’t be disappointed by the tremendous amount of power they can store. Additionally, the Humless 0842 is an extremely easy system to use. You’ll be able to work the device by simply plugging in your solar panels and laying them out in the sun. As soon as you do this, the device will start charging and storing solar energy for your needs. You won’t need to worry about monitoring the device - as soon as the batteries are fully charged the device will stop charging on its own. See more information on Humless 0842. The Humless 0842 solar device is an excellent device that is more than capable of meeting all your solar energy storage needs. You’ll be able to harvest solar energy quickly and efficiently with the reliable design and patented battery storage cells. Additionally, it is very easy to set the device up. All you have to do is plug your solar panels into the device and lay them out in the sun - they’ll start charging right away. You also won’t have to worry about keeping an eye on the system since it will shut down on its own as soon as it is done charging. It’s simple and requires little upkeep, making it one of the best buys for those who don’t want to deal with a hassle every time they use their solar generator. If you’re in the market for a dependable solar generator that will get you through any period of time that you find yourself without power, you need to look no farther than the Be Prepared Solar 25P-22-150. This device is best for any sort of backup power use, whether it be for outdoor activities like camping or tailgating, or for emergency power outages. You’ll be able to charge multiple devices and can even charge the Be Prepared 25P-22-150 with more than one type of power source. While the majority of its power does come from solar energy, you can also use the BatteryMINDer Charger to charge the Be Prepared Solar 25P-22-150 with power from an AC outlet (wall plug in). 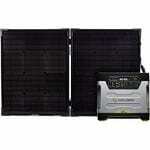 The Be Prepared Solar 25P-22-150 is also able to hold an impressive amount of power. The device can store up to 2500 watts of power, making it great for off grid applications and outdoor excursions. You’ll have more than enough power to charge your phones, tablets, laptops, and other devices. Last but not least, the Be Prepared Solar 25P-22-150 is eligible for the 30% federal tax credit. If you’re looking for a long term investment that can save you money over time, this device is one of the best you could choose. See more information on Be Prepared Solar 25P-22-150. If you’re looking for a solar device that is capable of storing a large amount of energy, you’ll love the Be Prepared Solar 25P-22-150. This solar device is capable of holding up to 2500 watts of energy in its impressive battery storage cells! It’s great for outdoor activities like camping or tailgating, RV life, or backup power assurance for power outages and other similar situations. The solar device is able to charge multiple devices at once and has AC outlets (wall plug ins) in addition to the standard USB ports. Plus, in addition to being able to harvest solar energy, the device can also be recharged with AC power outlets thanks to the BatteryMINDer Charger that comes included with the kit. If you tend to use a lot of power for your day to day activities and need a backup solar power source that you can rely on, the HomeGrid 5000HD is the best device for you to invest in. This solar tool is perfect for anyone who needs to be able to power their home during emergency situations. The solar device has the most impressive battery storage cell system we’ve seen. It can hold up to 3700 watt hours of power, making it powerful enough to power an RV or small, off grid home many times over. It has some of the most sophisticated and reliable power output on the market, making it perfect for anyone who wants to be able to ensure that they have gotten the absolute best deal on the market they can find. The HomeGrid 5000HD device is capable of storing a tremendous amount of power, and because of this, it is extremely large. The solar device is very heavy, however the weight is counteracted with a sturdy handcart that makes it very easy to move the device back and forth. The wheels on the cart are made of 10 inch heavy duty materials that make it simple and easy to move the cart without hassle. However, the bulkiness of the device is made up for by the versatility of the tool. The HomeGrid 5000HD device is able to provide 3700 watt hours of power on its own - however, the device can be further expanded to provide even more power in times of need. You’ll never have to worry about running out of power when you have the HomeGrid 5000HD back up. Not only is the HomeGrid 5000HD solar back up capable of storing so much power, it can also provide power to both 120 volt and 240 volt tools. This makes it one of the most valuable solar generators on the market. Most houses only operate on 120 volt or 240 volt circuit systems, meaning you’ll be able to provide all the power you need to your home without having to worry about overloading or overtaxing the device. You won’t have to go without the appliances that you depend on daily to meet your needs, and you won’t be forced to sacrifice your leisurely activities that involve electronics until the power comes back on. All you need to do is find the best location for your solar panels to continue to harvest energy from the sun for the device and make sure that you’re able to supply the device with more than enough solar power. You also won’t have to worry about the HomeGrid 5000HD solar back up being affected by less than the best weather conditions while you work to charge your solar panels. The solar device has a welded steel frame that gives it superior durability when compared to its many competitors and also has a protective coating that makes it resistant to weather and rust. You’ll be able to leave it outside to charge or operate without having to worry about it getting too exposed to the elements. The HomeGrid 5000HD solar back up anticipates every worry you may have during a power outage and works to make sure that these issues will never become a problem. It’s the best tool for any homeowner that wants to be prepared for any and every emergency situation and makes for a great investment that will serve you well. See more information on HomeGrid 5000HD. The HomeGrid 5000HD solar back up is truly one of the most impressive devices we’ve seen and makes keeping the lights on in any emergency situation an easy task. You’ll be able to provide your family with enough solar power to stay comfortable and keep your lights on regardless of how long the power stays out. The HomeGrid 5000HD solar back up is capable of providing 3700 watt hours of power on its own, and can even be expanded to increase its battery bank if necessary. In addition to this, the device can also provide power to both 120 volt and 240 volt systems, making it compatible with any housing circuitry you have, regardless of how modern the design is. You can charge the solar device up with a wall outlet so it will be ready to operate in case of emergency and then continue to power your home with solar energy if necessary, Regardless of what your situation is, the HomeGrid 5000HD solar back up has you covered, making it one of the best investments you could decide on. Despite the fact that more and more consumers are beginning to recognize the importance of solar technology, very few people understand how the technology they use works. This is largely because people are worried that the information will be too complicated for them to digest. However, this isn’t the case. Solar panels (that make up the sun powered generators we use) are comprised of many smaller parts called photovoltaic cells. These cells have the unique ability to take in energy from sunlight called photons and convert them into solar energy that we can use to power our electric devices. This is done through a simple process that requires an electric field to be created. Electric fields, like magnetic fields, are created by the collision of two opposing forces. In the case of an electric field, it is created when a positive charge and a negative charge are forced to collide. When a photovoltaic cell is created, this is done by using two pieces of semi conductive material and giving them opposite charges. The majority of the time, silicone is used as the semi conductive material.The two pieces of silicone have to be given different charges and are then placed on top of one another to create an electric field. To do this, the first piece of silicone is treated with phosphorus. This adds more electrons to the silicone, which gives it a negative charge. Once this has been done, the second piece of silicone is treated with boron. This takes electrons away from the silicone, giving it a positive charge. Once both pieces of silicone have been charged, they are laid on top of one another and the photovoltaic cell (and electric field) are created. Once the photovoltaic cell has been created, it is combined with more cells, some metal, and wiring to create a solar panel. When the panel is laid out in the sun, it is able to absorb photons. These photons are used to create a reaction in the electric field and free electrons from the atoms they are attached to. These electrons can then be collected in the pieces of metal at either end of the solar panel and transferred to our electronic devices through wires. That’s all there is to it! Though efficient and reliable, the process they use to create solar energy is quite simple and easy to understand. Additionally, this form of energy requires little to no upkeep – you’ll likely be able to use your solar panels for decades before they need to be replaced. Though solar energy is growing in popularity with the public, many people still hold their doubts about how powerful and effective solar energy can be. This is largely due to the fact that people don’t understand how this new solar technology works or how they are able to capture energy from the sun. However, this concern is unnecessary – solar energy is extremely effective and definitely worthwhile. While harvesting energy from the sun has always been an effective form of power, the newer sun powered generators are able to make several large and much needed improvements to this form of technology. The first is that they have become more efficient at transferring the solar energy they’ve captured. It used to be that a large portion of the photon energy that was captured wasn’t able to be properly transferred to our electrical devices and batteries. However, thanks to some problem solving and ingenuity, this is no longer an issue. Another improvement that has been made is the ability of solar panels to gather energy more effectively. When the first models were released, any sort of cloud interference was enough to prevent the solar panel from being able to charge properly. Now however, this isn’t the case. 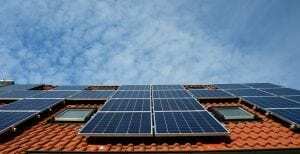 Newer panels are able to harvest sun energy even when the weather conditions are less than best, making them one of the best investments for home owners who live in an area with unpredictable weather. These improvements alone may not be convincing for the extremely skeptical, or for those who live in areas with minimal sun exposure opportunities, but the new hybrid generators might. Hybrid generators were created when the need for reliable and clean energy was evident, but the ability to provide this energy with one power source wasn’t plausible. These types of generators can use multiple types of energy sources as the supplemental power source including water, wind, and yes – gas. The hybrid devices provide a comforting solution for many people who want cleaner energy but aren’t certain that the area they live in is capable of giving them enough power. It allows them to invest in enough solar panels to get useable energy for the entirety or majority of the day, while also providing a safety net for days that it isn’t possible to harvest enough energy from sunlight alone. This option also makes it more possible for people to invest in clean energy sources who wouldn’t be able to do so otherwise. It makes it affordable and feasible for more consumers to lower their carbon footprint and be more conscientious about doing their part to take care of the environment. When people look into investing in solar energy, one of the first things that discourages them is the price. Sun powered energy seems like a very expensive energy source for most people. While it certainly isn’t cheap, it does have a way of paying for itself that many people overlook. Solar energy is unique because it doesn’t require you to pay a monthly fee in order to maintain your power source. Instead, you make a one time investment and then harvest energy on your own by finding the optimal sun exposure area and setting up your panels to be able to have the maximum sun exposure time. Doing this is actually a fairly straightforward process that will help you save a lot of money in the long run. In addition to only having to make one investment into this type of energy, sun powered panels require very little upkeep. Every few months they will need to be cleaned off (mostly to take care of any dust that might be interfering with the process) and they will only need to be replaced every few decades. When examining solar panels in this aspect, it is much easier to see how they easily pay for themselves over time. Another thing that many people don’t realize is that investing in sun powered panels can even be profitable. If you are able to capture more energy than you need to keep your home up and running, you may be able to store this excess energy in your power grid. You can then access this energy later on, or sell it to your local electricity company. The way that this is done varies by state and locale, but most areas will at least give you some sort of credit should you decide to do this. Many people are surprised to learn that sun powered generators can, in fact, provide enough power to sufficiently run a home. However, this option often works better for those who have smaller homes or live in some sort of mobile home like an RV or campervan. Solar generators that are designed for larger homes are often quite expensive. 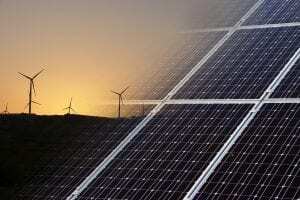 They make the best investment as a backup power source, but it would likely make more sense to invest in solar panels than it would invest in a generator. But in case of emergency its always good to have a backup ready. To determine what size of sun powered generator you need to invest in, you should first determine how much energy you use on average. To do this, you need to look at all of your electrical appliances and devices and see how many watts they require per hour. You can do this by reading the tag and looking for the wattage sign. If you cannot find the wattage, but can find the amps you can still use this information to calculate how many watts the device uses. Once you’ve determined the wattage of all your devices and appliances, you’ll need to figure out how many hours – on average, you use these appliances per day. You’ll want to factor in your highest usage time, which will likely mean making calculations for a weekend day or another day that you happen to be at home for the majority of the day. Once you’ve figured out the number of hours you use these devices, multiply that number by the amount of watts the device uses per hour at its maximum setting. Once you’ve determined how many watts you use during a day at most, you’ll be able to decide on what sized solar generator you need to work with. 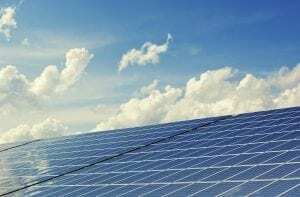 You’ll also be able to determine if you can get by on pure solar energy or if you’ll need to incorporate a supplemental power system as well. Whether you need solar panels or generators is dependent on how much power you need to bring in. Generators are a one of the best options for anyone who doesn’t require a lot of electricity to operate their home. However, if you tend to use more energy to power your home, solar panels might be the better option for you. You’ll be able to buy more of them and increase your sun exposure output. Keep in mind that you’ll be able to get more power output if you are able to invest in a portable solar panel that you’re able to move around your yard during peak times of the day. If you want to make the best investment, there are several things you should look into when investing into a solar generator. There are lots of great options on the market and it can sometimes be difficult to differentiate between which one is best for your needs. However, there are several things you should keep in mind when shopping for the best device for your needs to ensure that you get a good fit. The first thing you’ll want to take into consideration is the battery capacity of the device you’re considering. If you haven’t done so already, you’ll need to calculate your highest daily power expenditures and plan to have enough sun powered energy to exceed this number. This will help to compensate for days with less than ideal weather conditions. You’ll likely also want tio take your geographical area into account when thinking about how much battery capacity you need. If you live in an area where there isn’t a lot of consistent sun throughout the year, you may want to consider investing in a hybrid unit. Next, you’ll want to think about the size of the device you’re working with. Are you investing in a device that is easy to move and isn’t too bulky? Even if you’re not looking for a portable generator, you’ll want to make sure that you’re able to fit the device into your home layout without too much difficulty. If you are looking for a portable device that can easily be adjusted to capture more sunlight, you’ll want to make sure that it has a design that is easy to work with. Even if the device is light in weight, you’ll need to make sure that its design isn’t too bulky or awkward to work with. You’ll need to take weight into consideration so you know you can handle the device properly. You don’t want to choose something that is somewhat manageable – make sure you invest in a device that you know you can easily move from place to place if you plan on getting a portable solar generator, as mentioned in the study here. If you don’t need a portable device, you’ll have a few more options to work with. However, you’ll want to make sure that you plan everything in advance and have enough tools and equipment to put the device together on your own, or have spoken in detail with the contractor you plan to hire to get the job done. What is the surface area of the device you’re working with? How much space is it going to take up? And will you have enough room in your yard or on your roof to maximize your sun exposure potential? You’ll need to take all of these questions into consideration when looking at the dimensions of the panel in question. You want to make sure that you’re able to get the maximum surface area so you can get the best possible surface area dimensions and maximum sun exposure for your money. Last but not least, you’ll want to make sure you have enough watts to cover your highest daily maximum power consumption rate. You’ll need to be able to produce more than this to be on the safe side, and to ensure that you’ll be able to meet your daily maximum even on cloudy days when the ability to harvest photon energy isn’t the best. If for any reason this doesn’t seem to be possible, look into the hybrid model possibilities and see if you can find a supplemental power source to guarantee that you will always have enough power to work with. The Goal Zero Yeti 1250 solar generator is an excellent device that is capable of providing and impressive amount of power in times of emergency or energy crisis. You’ll be able to rest at ease with the knowledge that you have a sun powered device that is more than capable of keeping you supplied with power until the lights come back on. The device can be charged with either its AC plug in charger or by use of a solar panel, making it a versatile and worthy investment. Additionally, you’ll be able to use the Goal Zero Yeti 1250 solar generator to power up to 10 different devices at once. Last but not least, you’ll be able to easily transport the sun powered generator from place to place thanks to the rolling cart that comes with the device. The Peppermint Portable solar generator is an excellent choice for anyone who lives an on the go lifestyle, and in our opinion it’s one of the best solar back up models on the market. The sun powered generator is incredibly easy to use and makes it very simple to take your work out with you on trips. You’ll be able to easily charge your devices many times over with the power this device can hold. It has one of the fastest charge times in the industry and can hold up to 2,000 watt hours of energy. In addition to this, the Peppermint Portable solar device is very simple to use. All you have to do to charge the device is set it out in the sun and open the latch. The device will start charging on its own and will be ready to go within a few hours. If necessary, you can use the power that is harvested by the generator before the Peppermint Portable generator is completely charged, however you should only do this when the device isn’t trying to harvest solar energy (click here for study). If the Peppermint Portable generator is still harvesting energy when you try to charge your devices, you’ll need to wait until it’s done. Not doing so could cause a sudden drop in charging power, followed by a surge of power that could damage or ruin your device. Last but not least, this is an excellent device to use if you need to provide power for larger devices like a TV or even a refrigerator. This generator can keep all of them in operation for hours without running out of a charge. It’s by far the best sun powered generator to take with you if you need a reliable tool to help you on long camping trips or act as an extra source of power on the road. The Goal Zero Yeti 150 generator is an excellent device that is best for charging small devices. This makes it best for weekend outings, camping trips, or power outages. You’ll be able to keep your devices charged and online until you reach a useable power source again, regardless of what your situation is. The device is small, compact, and able to hold an impressive charge, making it a best value buy that doesn’t make you compromise on any important performance aspects. The Goal Zero Yeti 150 device is designed to produce enough power to keep your devices up and running until you’re able to find another power source to work with. The Goal Zero Yeti 150 generator is able to charge a smartphone 15 times, a GoPro 25 times, a Digital Camera 12 times, a tablet 6 times, and a laptop 1 to 2 times depending on the size. You’ll be able to maximize the power output of this device without having to worry about running out of solar power anytime soon – read the study here. The Goal Zero Yeti 150 generator is a powerful and effective device that is best for those who enjoy road trips, camping, or other types of outdoor exploration. You’ll be able to travel without having to worry about not having enough power to make it through your trip. Additionally, the generator has some impressive charge times. If you charge the device through an AC outlet (wall plug in) you’ll be able to have a full charge within 6 hours. However, with the right solar panel, you could see a full charge in as little as 3 hours. This makes it easy to keep the generator fully charged and ready to go, no matter what situation you find yourself in. When it comes to value, you’d be hard pressed to find a better option than the Goal Zero Yeti 150 generator. We hope you enjoyed our article on "The 10 Best Solar Generators for Camping & Home Use in 2019", if so, please share and rate it.